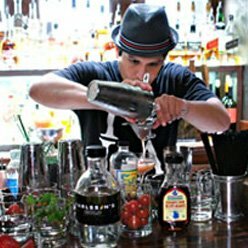 Fine Art Bartending offers the most extensive amount of class time to train you as a bartender. Our 32-hour program is split into 8 classes. 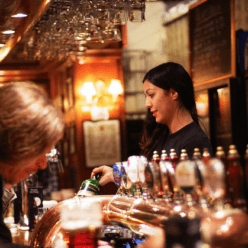 Each of those bartending classes is FOUR hours long. Each day of class we cover a new section of material, which may be a different spirit, wine, or beer. We also offer the widest variety of class times to accommodate everyone and their busy schedules. 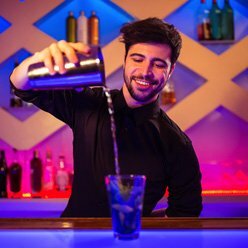 32-hour Bartending Course Now On Special For Only $599! More information on upcoming classes can be found on our Calendar of Classes.